Peggy Collins Photography: Do You Like Your Nature Natural? Do You Like Your Nature Natural? I sometimes like to play around with my photographs and add various effects and textures to them to give an image a more painterly appeal. As I showed in an older post, all nature photographs can be treated in this way, but one of my favorite subjects for textured images is flowers. 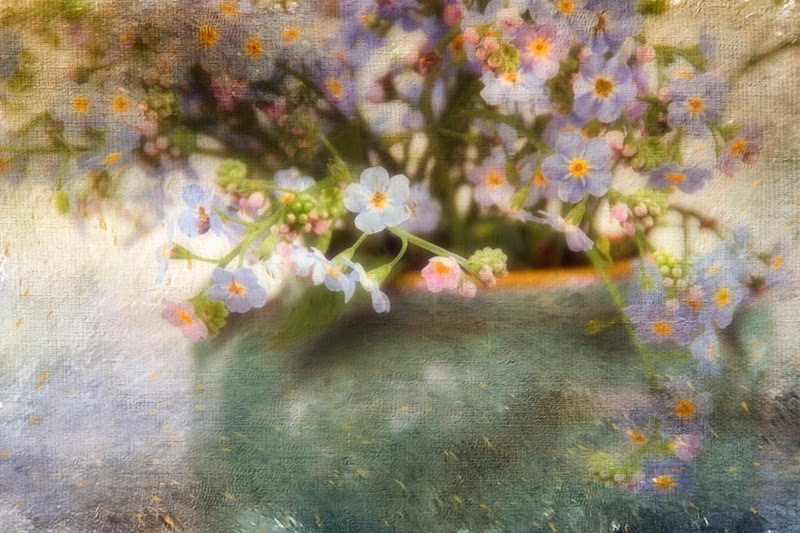 I added several filters to heighten the dreamy quality of the forget-me-nots in the above photograph and then layered on a few painted textures as well. I also played around with the tones. Photoshop gives you endless possibilities for different looks to your images...I find it thoroughly addictive! But not everybody likes this look. Do you like your nature natural? 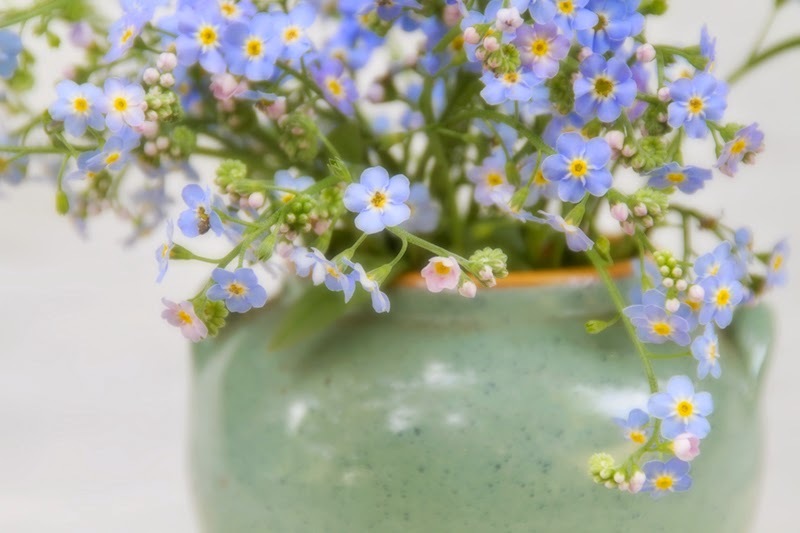 If so, you might prefer the image below...although I still played around with the forget-me-nots in this shot to enhance the softness of the flowers, it's much closer to the original. So which photograph do you prefer, au naturel or painterly?